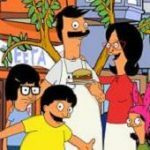 Apple is adding a new animated comedy by Bob’s Burgers creator Loren Bouchard to its growing slate. The tech company has given a two-season order for the show, which is named Central Park. The order is 26 episodes, split into two 13-episode seasons. Apple describes it as a “musical comedy” and it is created by Bouchard and 20th Century Fox Television, where the creator is under an overall deal. Central Park will be written by Bouchard, Josh Gad and Nora Smith. It follows a family of caretakers who live and work in Central Park and end up on a mission to save the park and the world. Fox TV is also the producer of hit animated comedies such as The Simpsons, Family Guy and American Dad!. Central Park is the 14th show to be commissioned by Apple in the space of a year, as it picks up the projects in its bid to build a successful TV business.